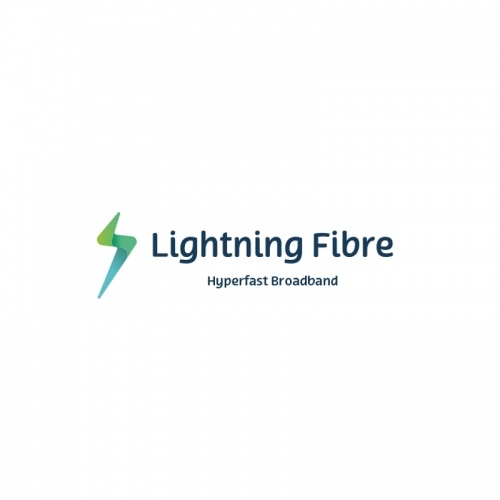 Lately we’ve been seeing a lot of new “full fibre” providers launch and now another one, Lightning Fibre, looks set to join the fray. The ISP appears to be initially targeting the roll-out of their 10Gbps capable Fibre-to-the-Home (FTTH) broadband network toward the Eastbourne area of East Sussex. A related application for Code Powers from Ofcom (i.e. this speeds up deployment by reducing the number of licenses needed for street works) reveals that the ISP may eventually expand into more of East Sussex and possibly the UK in general, although for now they appear to be laser focused upon inner Eastbourne. One other reason for the pursuit of Code Powers is that it will enable the ISP to make use of existing infrastructure, including sewers and Openreach’s (BT) revised Physical Infrastructure Access (PIA) product “wherever possible” (i.e. PIA can be used to reduce their network deployment costs and the disruption associated with civil works). The ISP’s website lists a number of packages for home and business users. Residential consumers look set to be offered a 1000Mbps package with unlimited usage and an included wireless router for just £40 per month. Apparently this will come alongside a “fixed price” 24 month contract term, free installation and parental controls. A VoIP (phone) service also appears to be available. At present though the provider doesn’t appear to have completed any network deployments (their coverage map is currently blank), although they are seeking interest from locals and have pledge to connect “areas of highest registrations of interest first” (i.e. a commercial demand-led deployment). We’ll add them to our database once the first services go live. Its a retirement town. I imagine the takeup will be huge. Hardly just a retirement town there are plenty of students in Eastbourne. Eastbourne is defiantly known for being a retirement town..
2 quick google searches for “study in Eastbourne” and “eastbourne student housing” would suggest studying there is quite popular. Perhaps better to research first than stereotype. It is a place for a retirement town.. You can even ask nearly enough everyone from. Brighton. Because as usual MAX you bloody need it. City of Portsmouth is above average. Who is “US” i thought you lived in Brighton and travelled to Eastbourne weekly. You really need to start remembering your prior troll comments. I hope this is a success, Eastbourne is where I live. It may be known as a retirement town but there are plenty of youngsters around who might be interested in 1Gbps symmetrical fiber if this is promoted enough. I’ve currently got FTTPoD on the way, which I’d switch from after a year if it turns out I can get this new service mentioned in this news article. I’d register my interest but I read on the website that I’d have to go into a contractual agreement obligating me to signup if their service eventually comes here whilst I’m in my FTTPoD contract. Ixel, there’s no obligation for registering your interest. And if you win 2 years free Gigabit internet you can donate to a local charity if you prefer :), had a look just now can’t see any mention of contractual obligation on the ‘register your interest’ page. Our rollout is demand driven, if you want us to come to you sooner tell us and fill in one of our “register your interest” page and service order forms <<>>. Spread the word, share the form and we’ll get there sooner. Is that incorrect or am I misunderstanding it? Thanks Ixel, perhaps needs to be clearer (website currently being redesigned/upgraded – I’ll make sure that’s with the guys to amend). That conditional contract to take the service is a) just that conditional and b) only applicable to the service order forms and not the registration of interest form. If you have any other questions suggest contacting us via the website – we’re happy to help. What something is or is not known for, does not mean that is all there is to a place. You seem to think what a place may be traditionally known for equates to that being all there is to a place. Even more funny you then claim to live near there and travel there weekly. You do not even live in the South East of England Mr ADSLMAX. Your just a troll looking for an argument. 100,000+ residents in a packed area, about time we have better than FTTC, BT slow as hell to roll out G.FAST and no one until now cares to put FTTP on the table for the town. Hope its a success.